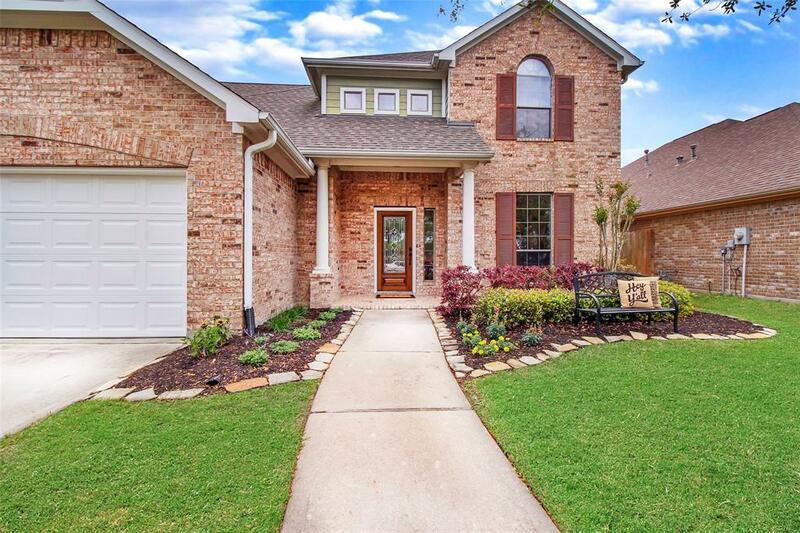 You will love this delightful 4 bedroom, 2.5 bathroom Darling built home located in Seven Meadows & situated RIGHT across the street from a PARK & PLAYGROUND! Enjoy the Pavilion, playground & swings steps away from your front door. 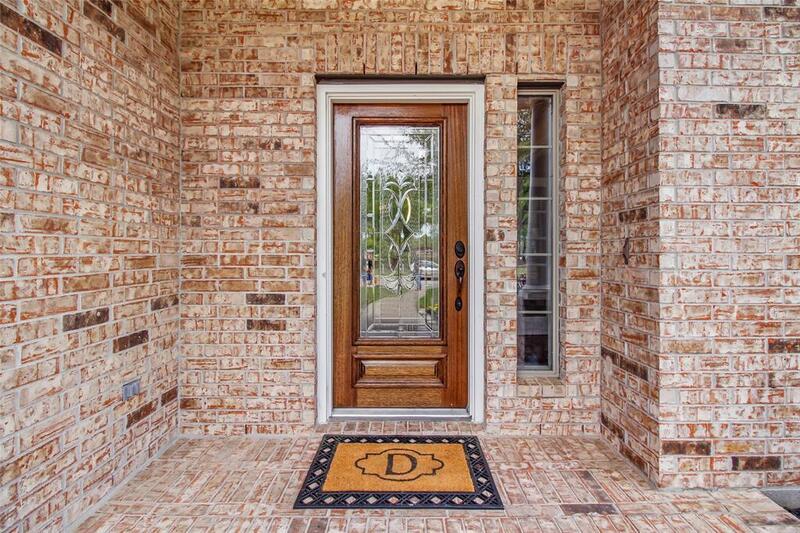 Inside, the first floor living areas are highlighted by beautiful hardwood & tile flooring. 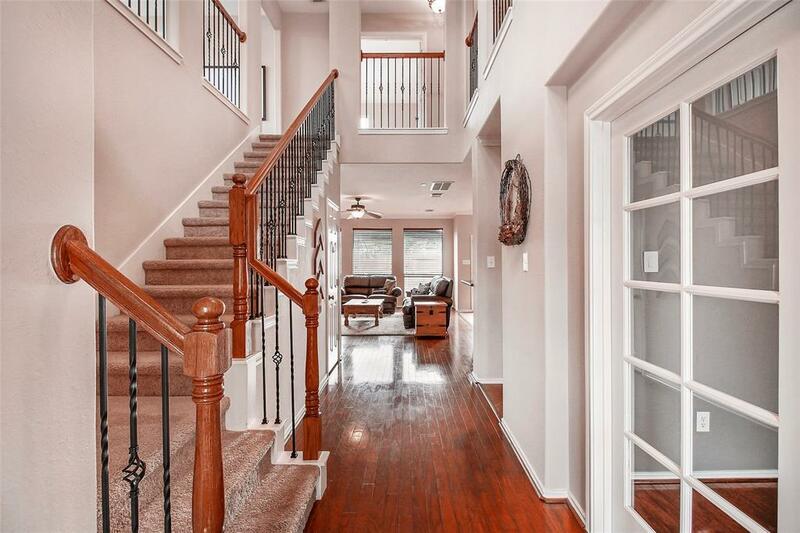 Featuring a split staircase w/ wrought iron railing, formal dining room & study w/ French doors. Gourmet kitchen w/ lovely granite counters, tons of cabinets & breakfast bar for extra seating. The inviting den w/ fireplace & mantle is open to the kitchen, great for entertaining! Spacious master bedroom suite w/ double sink vanity & whirlpool tub in bath! Huge game room & 3 secondary bedrooms up. 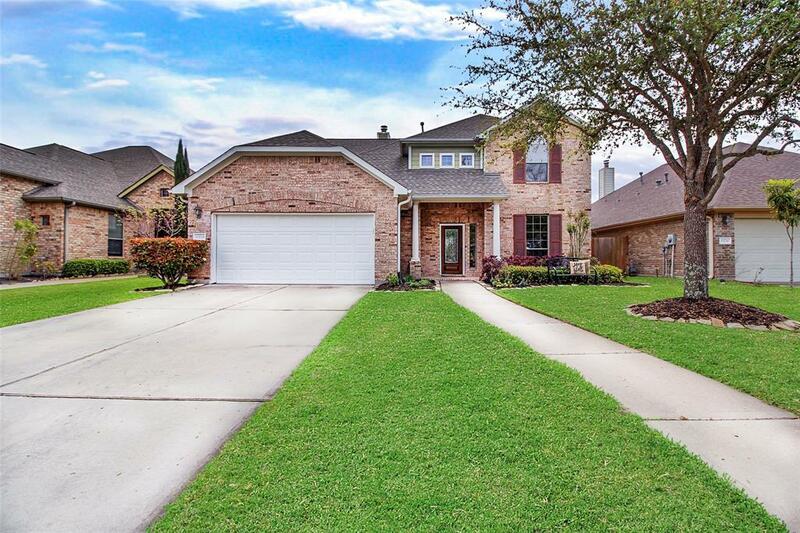 The magnificent back yard is large enough for a pool, spa & more! Imagine all the things you could do with all that green space - it's made for your outdoor living! No flooding! Seven Meadows amenities include pools, gym, clubhouse, pavilion, tennis, playgrounds & more!